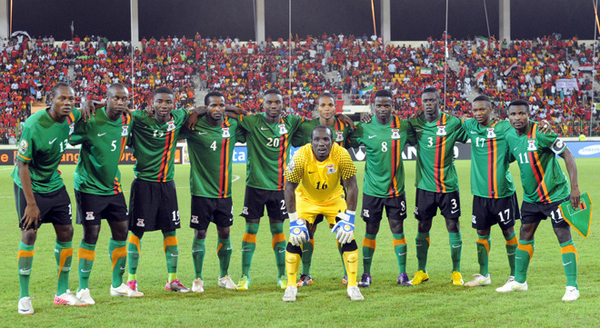 Zambia national football team acting head coach Wedson Nyirenda has named his final 23-man squad for the 2018 World Cup qualifier with Nigeria to be played at the Levy Mwanawasa Stadium on October 9. Nyirenda announced his final squad after he released 11 players on Saturday who were part of the 25-man squad invited for a one week assessment period. Nyirenda named the released players as Racha Kola, Donashano Malama, Billy Mutale, Spencer Sautu, Patson Daka, Justin Shonga, Misheck Chaila, Richard Kasonde, Mwape Mwelwa, Charles Zulu and Jack Chirwa. The coach has selected 14 players from the domestic league who will be joined by nine foreign-based players in Ndola.Collins Mbesuma and Winston Kalengo are expected to be the first foreign-based players to join camp on Sunday.